bella9293 has no other items for sale. The lens was shipped quickly and was solidly wrapped. The lens was in perfect condition and included a lens hood. I tried the lens on my Nikon FE w/ Kodak film and was impressed by the saturation, sharpness and contrast. This is the kind of lens that makes me want to shoot film again. I love this focal length. I also tried it with my Nikon Df and was impressed by the results. I think the hood saved the day on shots into, or near, the sun. 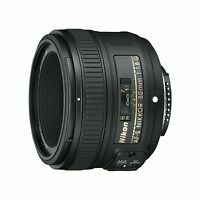 Not going for the $750/$1500 gelded 24 mm 1.4/1.8 G lenses that are now offered by Nikon. 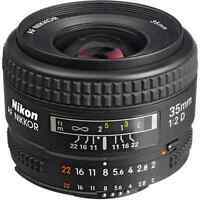 I was in the market for a 24mm to better complement my 35 and 50mm on my cropped sensor D3100. For the money I make, the prime lens has been my preferred lens type with nikon for their performance at their respective price point. This lens checks all the right boxes for me : Sharp, Fast under low light, Old school glass and steel durability, and real performance under 300 bucks. 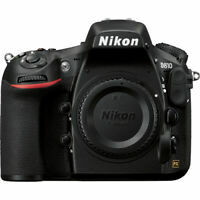 To me..its like Brand New....Awesome lens!!! Works Perfect!!! Nikkor 24mm f2 is perfect, it like brand new . Very very good condition. All I can tell you that this lens is one of Nikon's "Legendary" lenses and it deserves the title. Get one, use it and be impressed! !